Have you jumped onto the contouring bandwagon yet? There is not question, contouring is certainly having its moment in the world of makeup. Celebrities like the Kardashians have really brought it to the forefront and now contouring has gone mainstream. The great news about that is that there is now a great assortment of Contouring Palettes widely available! It certainly would be nice to be like a Kardashian with a makeup artist on-call at our house to contour our faces and do our full makeup. However, since we all do live in the real world here, that is just not the case, lol. With that said, contouring palettes do help to take the guess work out of contouring! I am certainly by no means a makeup artist. I am just your average makeup enthusiast with a bit of practice with products. Previously, contouring was a bit out of my comfort zone. However, I am finding that with a specific contouring palette, I am more apt to contour on a day-to-day basis and certainly on special occasions. 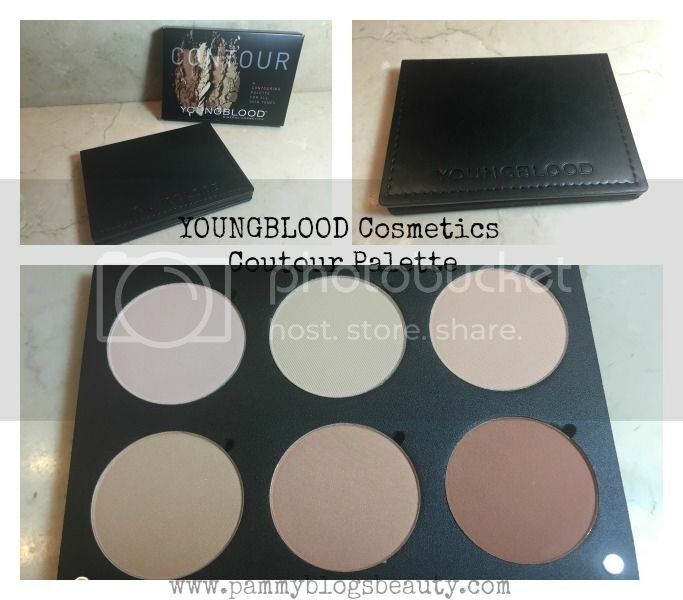 So, lets talk specifically now about this fabulous new Youngblood Cosmetics Contour Palette! This six pan palette of both light and dark contour and highlight shades can add sophistication to your daily makeup routine and give you results similar to a professional makeup artist! To find out more, please click "read more" below. This palette contains three shades for highlighting and three coordinating and complementary shades for contouring. 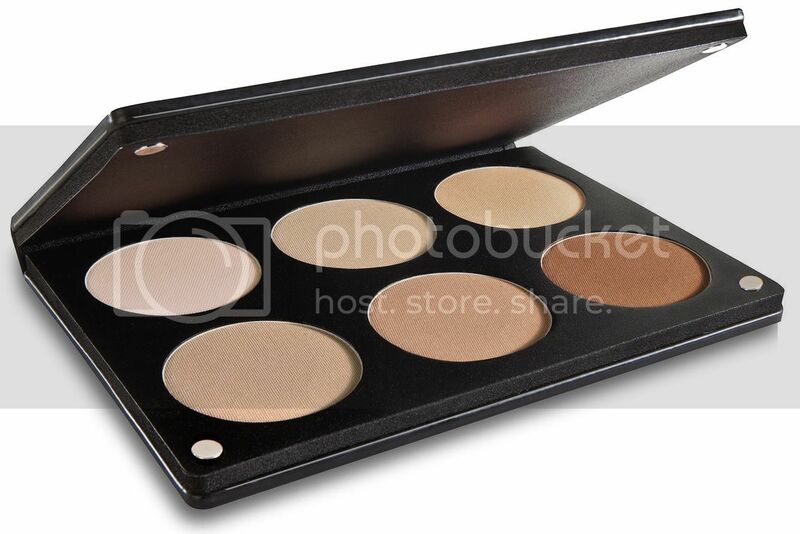 This palette works for all skintones and is quite versatile! 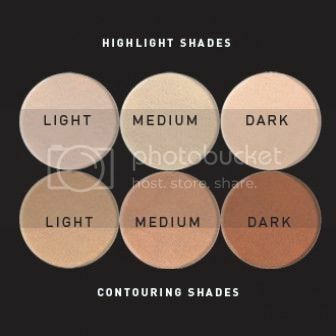 The palette is organized from light to dark (see photo below) with the light shades on the right, the medium in the middle, and the dark on the right. So, you determine your skin tone and then use those shades. For me, I am very fair, so I work with the light shades on the left. To apply the powders in the palette, you can either use a flocked sponge or brushes. I use my Sigma Contour brush and by IT Cosmetics for highlighting. The premise of contouring/highlighting is this: contouring recesses the area and highlighting pulls it forward or brings it out. I followed the pictures below from Youngblood precisely and got really great results! I contoured these areas: temple to forehead on both sides of face at hairline, tops of ears to mouth under cheekbone, down sides of nose and in eye creases, and around the curve of the chin. I highlighted these areas: Bridge of nose to forehead, under brown, under eyes, tops of cheekbones, above lips, and the very tip of the chin. You can see my results in my Instagram picture below! (don't mind my dark circles here ya'll, I had a sinus infection!). What can I say? I am now a huge fan of contouring! 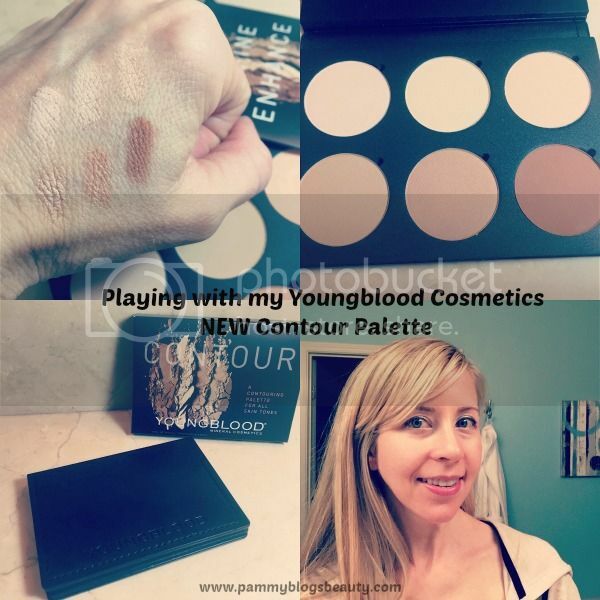 This palette from Youngblood makes it super easy! This palette would be especially nice for makeup artists as you can use it with any skin tones. For me, there are more shades than I need. However, I do find that I use both the Light and Medium shades depending on my mood (especially the highlight shades). These powders are very versatile! What a lovely palette! The packaging looks nice and sturdy and the colors look great for those with very pale skin which can be harder to find in mass retail contour palettes.